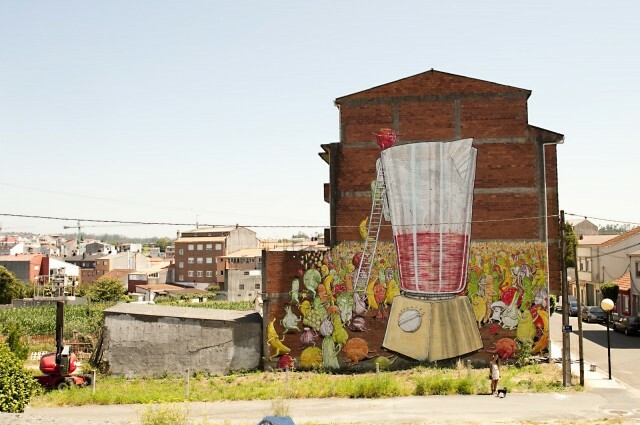 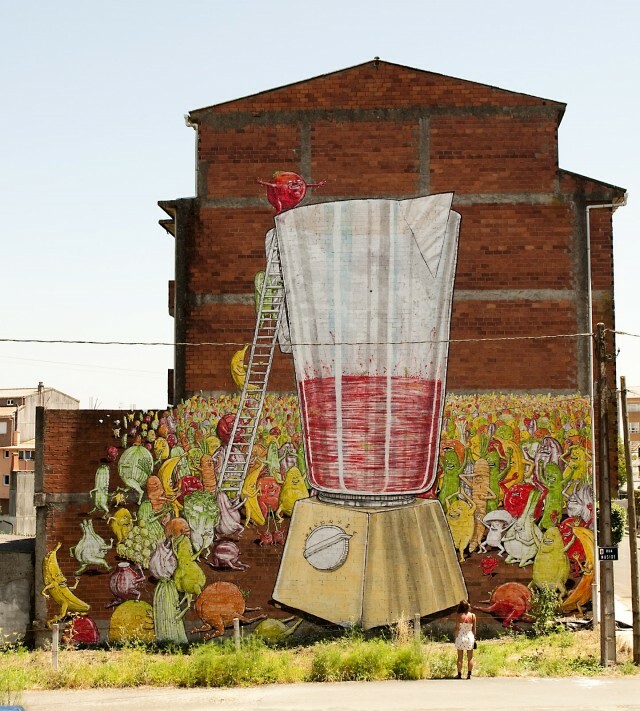 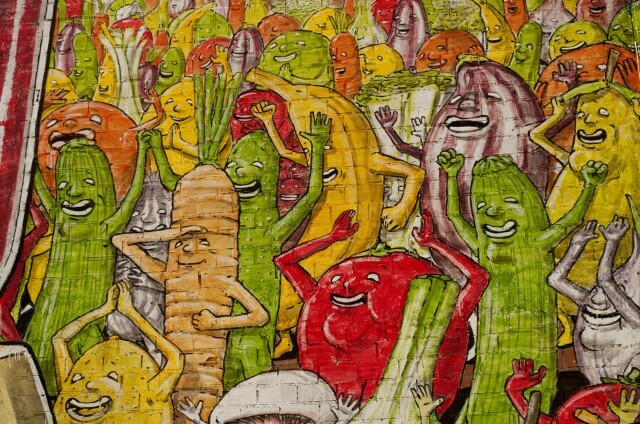 Street artist Blu recently painted this mural of anthropomorphic fruits & veggies cheerfully jumping into a juicer of doom for the DesordesCreativas festival in Ordes, Spain. 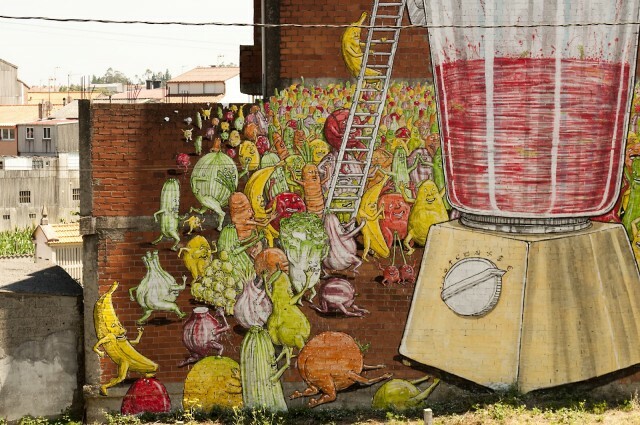 According to the festival’s site, this piece is a “declaration of intent and a plea to vegetarianism”. 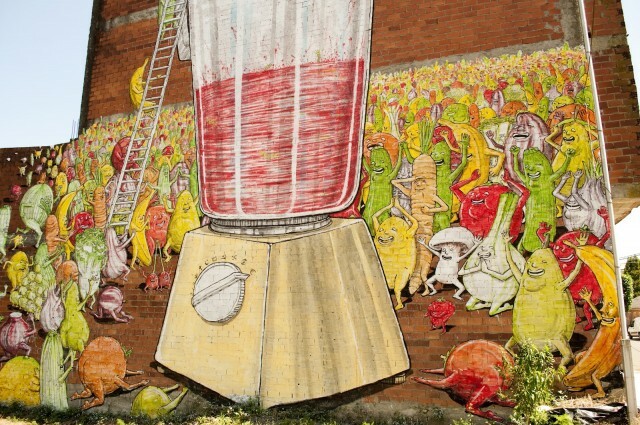 You may remember we have posted several of Blu’s murals in the past, including Spaghetti Brain Eating Man, Infinite Pickpocket, Big Bang Big Boom, and more.